Distinctive. Such is the way of defining this castle, owing to its gothic style and to the brick used to coat its rough ashlar walls. 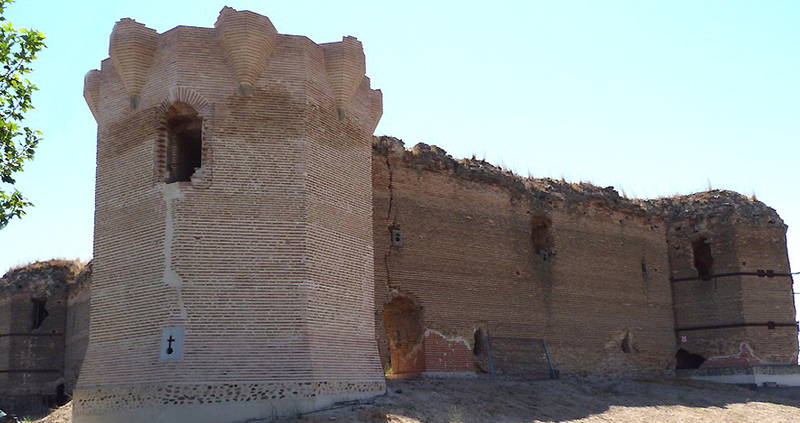 The entrance gate is monumental, with a gothic pointed arch, over which we will find the engraved emblems of the Catholic Monarchs and of Mr. Gonzalo Chacón, chief knight commander of Montiel. 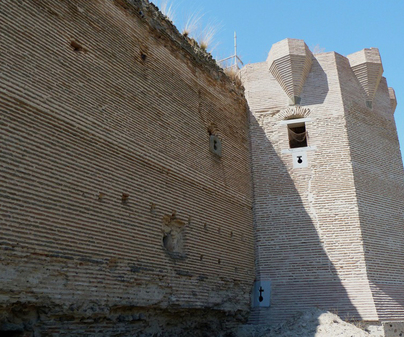 The fortress, which has a rectangular floor plan, was attached to the city wall that defended the village, now gone. The hexagonal towers are of special interest as they demonstrate an architectural advance of the 14thcentury (when the fortress was built) popularized by the Templars, the aim of which was a better defense of the perimeter against attackers. Symmetrically, the tower keep also has three small hexagonal towers at three of its angles. 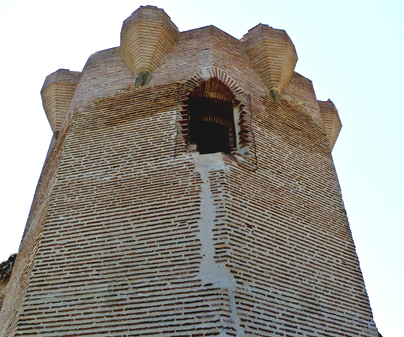 It has belonged to well-known people in the history of Castile. 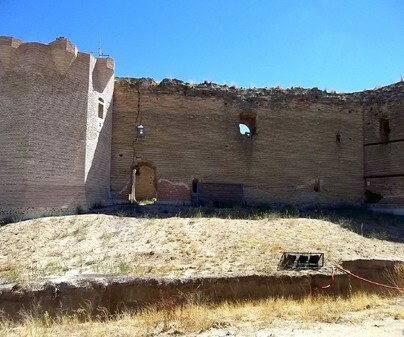 Its first owner and constructor was Mr. Alfonso Fernández Coronel, executed by the King Pedro I, who bequeathed the fortress to the chiefnotary of Castile, Diego Gómez de Toledo. In the time of Ferdinand the Catholic, its owner was Gonzalo Chacón, whose emblem we can see at the entrance. In 1599 it became the property of the Counts of Miranda, and in the 19thcentury to the Duke of Alba. In 1899, a neighbor of Casarrubios bought the castle and Count’s palace from the duke. Only the outside can be visited. The statement “Castile makes men and wears them out” is attributed to its constructor, Alfonso Fernández Coronel. He had been appointed as Lord of Aguilar by Alfonso XI, but when the latter died he fell out of favor. Before being beheaded and burnt on the order of the new King, Pedro I, he proclaimed the aforementioned statement.